It's been a while since my last window shopping Wednesday feature! I cannot stop thinking about spring and all the wonderful things I'm ready to wear (and add to my wardrobe!). But really, this combo of outfits below captures it perfectly: color, easy pieces and fun details. Such great picks! 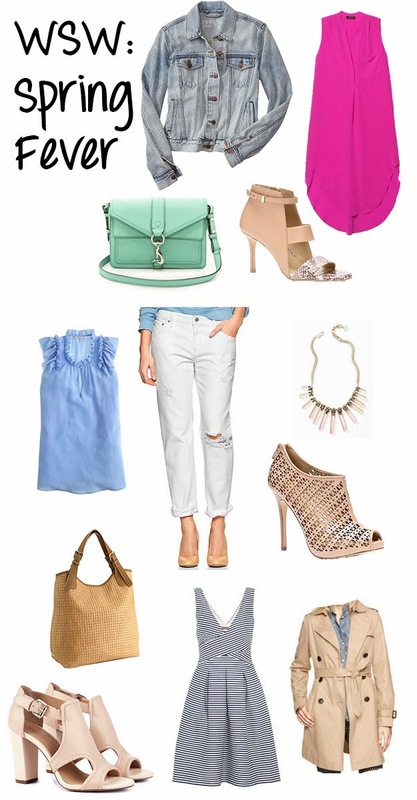 I'm having spring fever as well :) Love that mint crossbody bag! Love all of these picks! That striped dress is amazing! And that ruffled blouse is so cute. I'll take one of everything.